Provide additional strength and stability to your deer fence with the angle steel line posts. "Good quality and when they go in the ground they stay in the ground." Steve K.
Each angle steel post is powder-coated to increase their durability and longevity. The black metal fence posts are pre-drilled so our heavy duty zip ties can be used to easily attach the deer fencing to the angle steel line post. We recommend spacing the steel fence posts every 10 to 15 feet along your fence line to achieve best results. 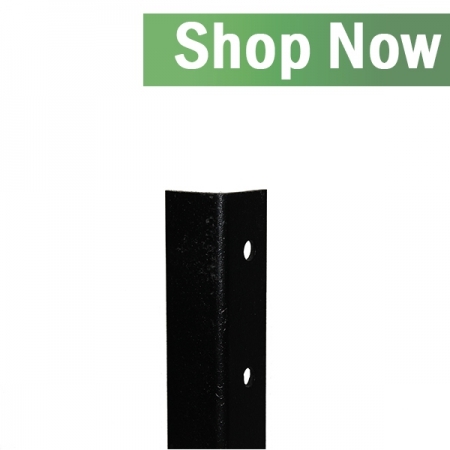 Shop Angle Steel Fence Posts now on Deerbusters.com!